Lostpray have recently uploaded a new music video for their song, Cyberblood. This new music video was released on July 1st, 2018. The morbid humor of the music video is fittingly conveyed with an animated cartoon. There is a serious message behind the comical imagery. Cyberblood is about the irony that we are divided and isolated from each other by the very technology that was intended to connect us. The internet is full of negativity, and what little positivity we find there is ephemeral. Our addiction to social media is a byproduct of a society that thrives on instant gratification. One recalls the “Infinite Distraction” from Aldous Huxley’s classic dystopian novel, Brave New World. Before the release of the Cyberblood music video, LostPray released the video for Deep Depression. This is a traditional music video, with footage of the band playing the song, and the scene cutting between different angles and camera shots of each band member. I appreciate the inclusion of lyrics in these videos. They are at the bottom of the screen, visible enough to follow along, but not too obvious to the point of overpowering the music video itself. These captioned lyrics are tastefully integrated into the videos, and they enhanced my understanding of the songs. In addition to their original songs, this band has an impressive library of covers. Their cover songs are faithful to the original renditions while also being true to the unique style of Lostpray. Their choice of songs to cover is also an interesting cross-section of musical influences and inspirations for the band. Holy Diver by Dio, Ace of Spades by Motorhead, Creeping Death by Metallica, Repentless by Slayer… This is a solid selection of classic rock, speed metal, and thrash songs. This is a diverse variety of subgenres, but they are all united under the theme of heavy metal. 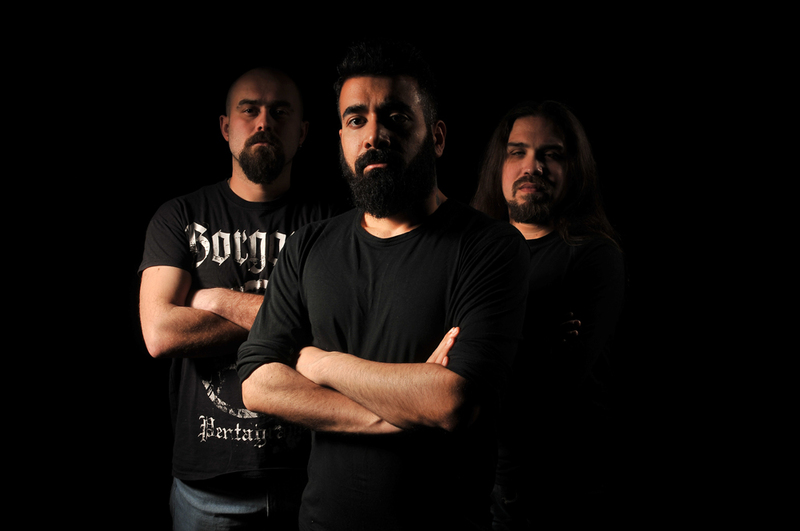 LostPray is a trio with members of Turkish and Ukrainian backgrounds. Vocalist/guitarist Burak Gundogdu, bassist Vyacheslav Babienko, and drummer Nikolay Dovgopolov have been shredding together since 2013. Their discography currently includes two albums: That’s Why (2014) and Priestianity (2018). Check out their Official Website, Reverbnation, and Spotify. 3 stars out of 5!